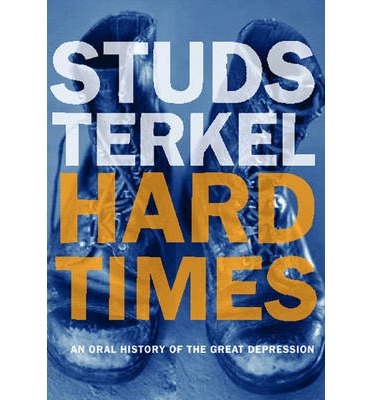 In this unique re-creation of one of the most dramatic periods in modern American history, Studs Terkel recaptures the Great Depression of the 1930s in all its complexity. The book is a mosaic of memories from those who were richest to those who were most destitute: politicians like James Farley and Raymond Moley; businessmen like Bill Benton and Clement Stone; a six-day bicycle racer; artists and writers; racketeers; speakeasy operators, strikers, and impoverished farmers; people who were just kids; and those who remember losing a fortune. Hard Times is not only a gold mine of information--much of it little known--but also a fascinating interplay of memory and fact, showing how the Depression affected the lives of those who experienced it firsthand, often transforming the most bitter memories into a surprising nostalgia.